Save, save, save! Black Friday and Cyber Monday Sale going on now at Because I'm Me. 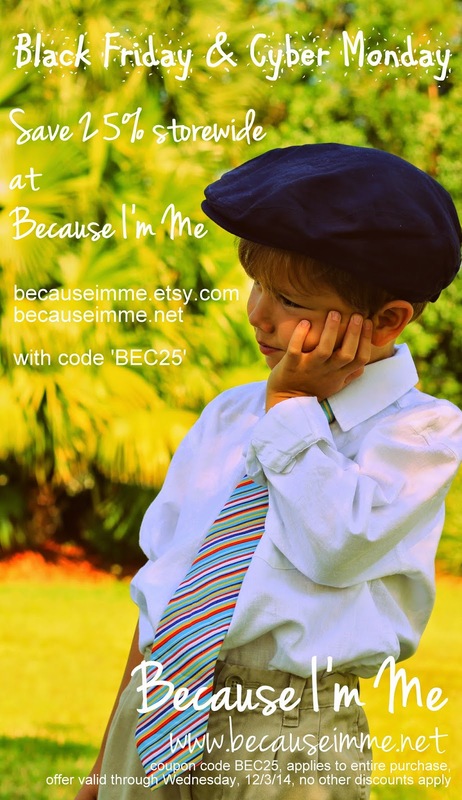 Enjoy 25% savings storewide with coupon code BEC25 at becauseimme.etsy.com.